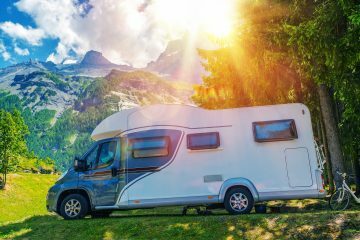 From northern to southern Florida, there are several amazing RV camping spots that you need to check out. These RV camp spots make camping in Florida relaxing and bring you the ultimate camping experience. What are 21 unforgettable RV camp spots in Florida (Both parks and rustic)? 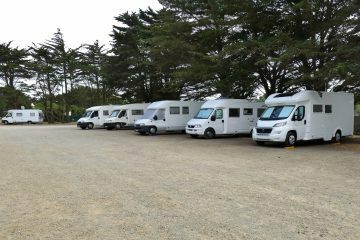 We will go into further details about what makes each RV Park so amazing! 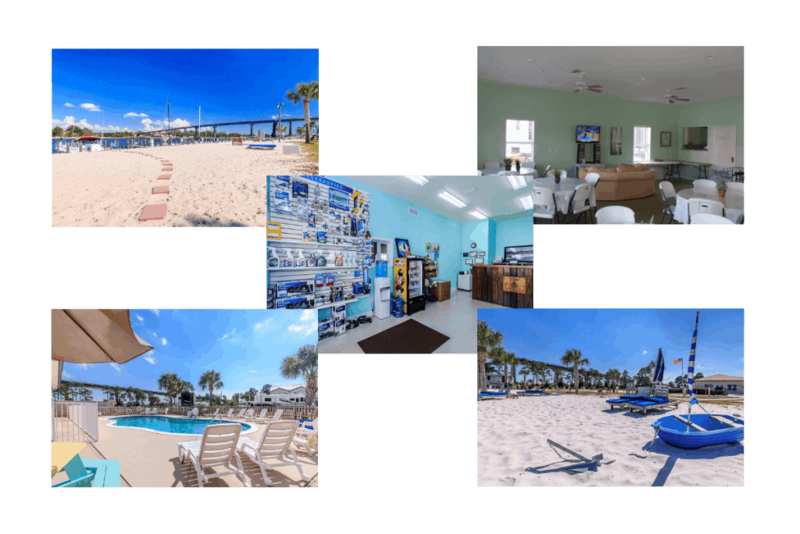 The Ocean Grove RV Resort offers everything from being a walk away from the St. Augustine Beach to being right next to the best tourist attraction in North Florida– historic downtown St. Augustine! It’s a great place for families and couples because there is a variety of fun activities and attractions in this area. It’s the perfect location for an unforgettable trip! 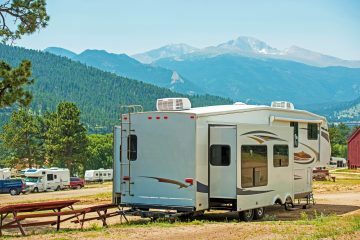 These are a few of the many amenities this RV park offers. I love how this park is not only right next to the beach, but also next to the Intercoastal Waterway. There are ramps that are on-site that let you go fishing or find a place you can dock your boat. It’s the perfect setup, and everything is located on the property. It is a walk away from the beach, which is nice, but I love the activities the park offers as well. For example, they have a park for the kids and a horseshoe court for adults. It’s a perfect setup to fit every age, and it includes separate swimming pools for the younger visitors as well! 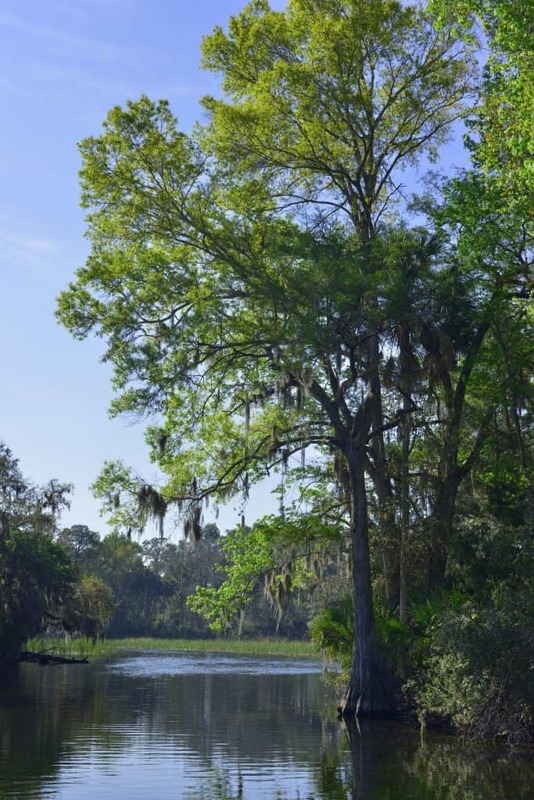 This area is one of the most popular tourist attractions in Northern Florida! St. Augustine is the oldest city in America with great historical sites to tell you all about it. Come visit the enduring 1695 historic fort that Spanish soldiers stayed in! You can tour the fort and explore the many different stores and historic museums located just across the street. There’s more than just history here though! Another popular attraction in this area for both children and adults is the Ripley’s Believe It or Not museum! It features weird and neat facts about life and the accomplishments of humanity’s world-record holders. While you are in the area, you can also climb the historic light house and museum. Once you get to the top, you get an amazing view of the whole city! If you are into animals, you will also love the alligator farm here in St. Augustine featuring several alligators. You can even feed them! 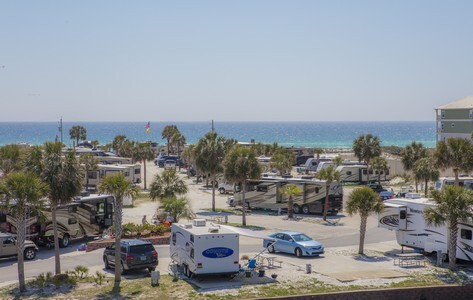 The location of this beautiful RV camp and resort is right on a barrier island in Pensacola, which is right by the Gulf of Mexico. It is the perfect location right next to the beach and the Intracoastal Waterway to provide several hours of fun and relaxation. I love this RV park because of how simple it is. It is the perfect location, right next to the beach so you can experience your own little private beach. It’s perfect because you can go fishing, play in the waves, or just relax on the beach, all very relaxed. Not only is it relaxing, but the staff is very friendly and put on activities in the clubhouse like dinners and games of Bingo. This is the perfect area for outdoor adventures and exploring the history of Pensacola. As far as outdoor activities go, you can do just about anything with the beach and Intracoastal Waterway. There is parasailing, sailing, fishing, boating, and you can always explore the sand for little treasures and creatures. This park really caught my eye for the beautiful caves that are here in the Florida Caverns State Park. You can camp and relax here in your RV but also explore the natural beauty all around you. This is a great rustic, natural camp site if you are looking for a more outdoor, camping experience in one of Florida’s amazing state parks. This is the perfect campsite for those looking for a rustic, outdoor camping experience. Besides exploring caves, you can go on hikes, horseback riding, swimming, go boating, fishing, and more! Anything you can think of doing outside, you can do it here: it’s the perfect outdoor camping experience. Another great rustic camp site idea is staying at the Topsail Hill Preserve State Park. Here there are forests, ocean, dunes, and more to explore. This is a great place for the perfect outdoor adventures! Here in the park, there are several activities. Along the water of the Gulf of Mexico, you can paddleboard, swim, or hang out on the nice white beach. With the water nearby you can also go fishing and if you’re not into water, this is a great place to watch and look for animals. There are several birds that make it a great place to go bird watching. Looking for a magical experience while camping? Come check out Disney’s For Wilderness Resort. This is for those looking to be close to all the fun attractions, including Disney, while still camping with their RV. 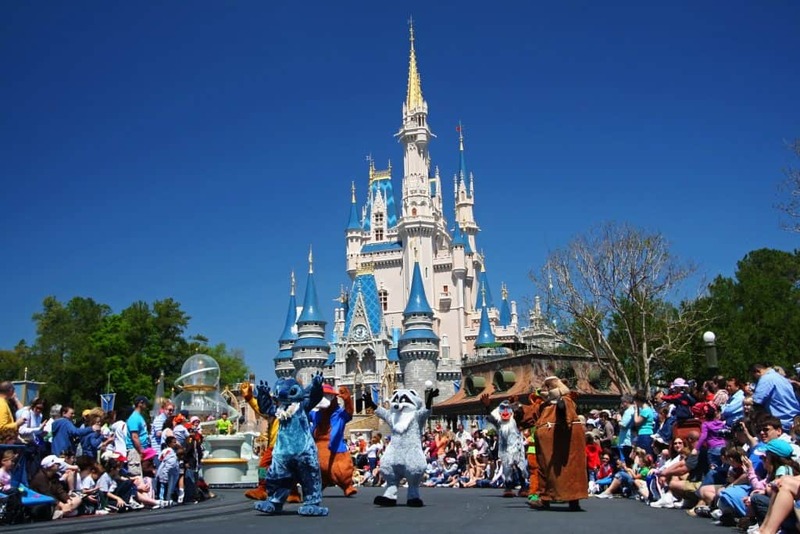 If you haven’t guessed from the name of the resort, the most popular activity in the area is to visit the Disney Parks. This resort is right next to the Disney Parks in Orlando, FL. There are bus and water services that can take you directly to these sites like Disney World and the Magic Kingdom park. It is also right next to other amusment parks, great dining, and entertainment. This camping site is in a little north of the center of Florida in beautiful, green Ocala. It’s the perfect place if you love trees and being out in nature. Unfortunately there are no sites that offer full hookups. There is also a charge per use for the RV dump station- $7. There are several outdoor activities available here in the park including canoeing, hiking, kayaking, swimming, and more. Another beautiful state park to stay at is here in Florida is Myakka. There is much to do here, perfect for outdoor travelers. There is a river that flows through it which makes it perfect for water activities. With the river near by, you can go paddling away in a canoe, catch some fish, or take a tour on a boat tour. Also it’s the perfect place to take a hike, go mountain biking, horseback riding, bird watching, and more. If you’ve ever heard of some of the best vacation spots in Florida, you probably have heard of the panhandle. That’s exactly where this camp is located, in the panhandle with beautiful white beaches and great entertainment! It is one of the best experiences to camp right on such a beautiful beach. The only down side is pets are not allowed here due to beach health policies. Of course, you know you can walk out onto the beach for fun, but there are some indoor activities too. Included in the activity center is an area to play basketball, shuffleboard, board games, watch TV and more. This beautiful resort is located in south Florida right next to the beach. 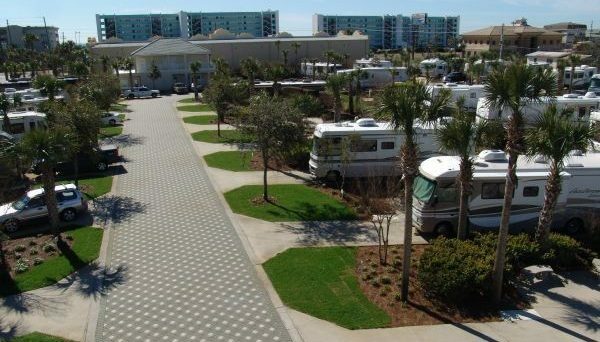 This resort has all the luxury amenities you could want and need from an RV resort. It is different from a rustic experience, but an amazing luxury experience for sure. This resort rents out several fun toys, including boats, kayaks, jeeps, and more. With the water close by, you can try kayaking, paddleboarding, and swimming. Snorkeling and diving is also another option. You can also visit the local museums in the area along with checking out the Dolphin Research Center. Not to mention, the amazing fresh seafood! There is plenty to eat here and see at night at the local restaurants. Looking for a very private RV camping experience? Then the George Island State Park may be the place for you. Located on your own island, this is the perfect spot to be nest to the ocean and enjoy a relaxing camping experience. This place is well known for the amazing star gazing that you can witness here in the park. You can view planets, the milky way and more from the beautiful, clear skies. You can also go boating, fishing and canoeing in the water. On land you can have great picnics, roller blade, look for shells, watch for birds, and more. This is a gorgeous campsite with great amenities and attractions nearby to keep you entertained. Also just a drive away from several beaches. Jacksonville is a great place to explore city life and is not far from historic downtown St. Augustine. Here in Jacksonville, you can check out the Jacksonville zoo, museums, visit friendship fountain, and go shopping. I love the Naples Motorcoach Resort because of the quality that is offered here. Everything is so clean and put together, perfect for a relaxing stay. Not so much as rustic as other but provides a great outdoor experience in luxury. These don’t even begin to cover all the amazing amenities that the resort offers. There are also outdoor pickleball courts and games inside their big overall room, and more. 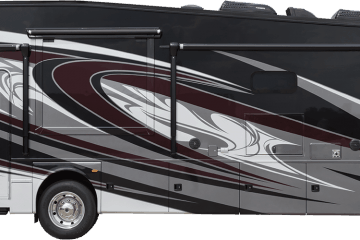 If you are looking to live a luxurious RV lifestyle, this is the place for you. Naples is the perfect vacationing spot if you love to explore gardens, beaches, and see the arts. Nearby there are several museums or historic sites that may capture your interest. There is the Marco Island Historical Museum that captures the early Indian life here in Florida. There is also the Naples Botanical Garden, Naples Zoo, and Everglades National Park to explore the beautiful outdoors and see unique creatures. If you are looking for a unique experience with lions, this is what you’re looking for. The Lion Country Safari campground is located on a wild animal preserve and they allow people to camp here. It has great entertainment just outside your RV door when you wake up! The amenities cover exactly what you need to have an enjoyable, outdoor time. These amenities are perfect for families with children, and perfect because they can see the wild animals as well! Great entertainment the whole time. As you stay at the Safari Adventure, you can go to the part of the park where they feed giraffes, ride the carousel, the train, go mini-golfing, ride the paddle boats, and more activities which are perfect for the whole family. While you are in the area, also check out several places to go fishing and golfing. There are beaches nearby too which make for the perfect outdoor fun experience. Located in the Florida Keys, the Bahia Honda State Park is the perfect place for the beach and underwater experience. While you are here you can enjoy the beautiful weather sights, and the Florida Keys National Marine Sanctuary. For a more simple way of camping, this is the way to go. The State Park provides basically your camp site, restrooms, and the beach so you can go enjoy yourself. As you stay here at the park, you can take an underwater dive and take a snorkel boat tour to see the sea life underneath the blue water. Some other activities people enjoy to do while they stay here are: kayak, paddle board, fish, and bicycling. While you’re here you can also visit the Bahia Honda Railroad Bridge, go to Boondocks to go mini-golfing, and go fishing. It seems to be the perfect place to go fishing with so much water and sea life all around. 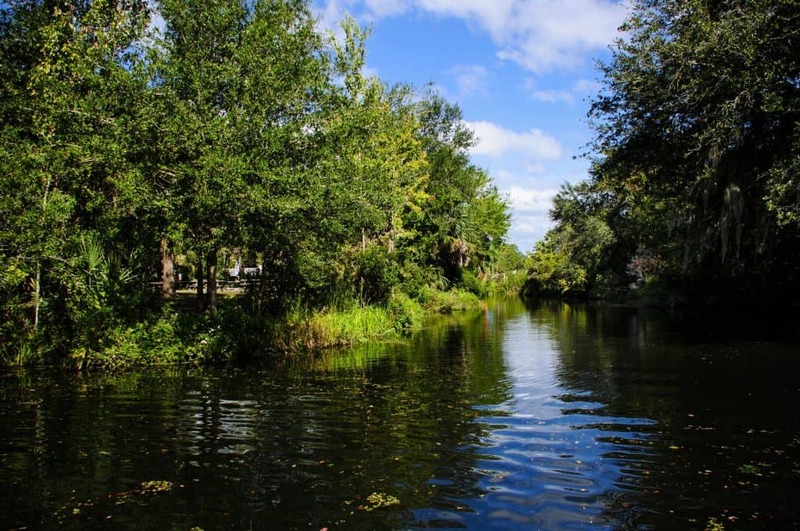 The Nature’s Resort in Homosassa is a beautiful area, surrounded by rivers and wildlife. It is another great option for those looking to camp in nature near the animal life. It is more rustic in that it covers your simple needs with the hook-ups and are ready for 30 or 50 amp and other than that provides the nature for you to enjoy! This RV park and resort offers a great rustic experience while still allowing you to enjoy some nice luxuries like a heated pool and arcade games. There is also cable TV offered. 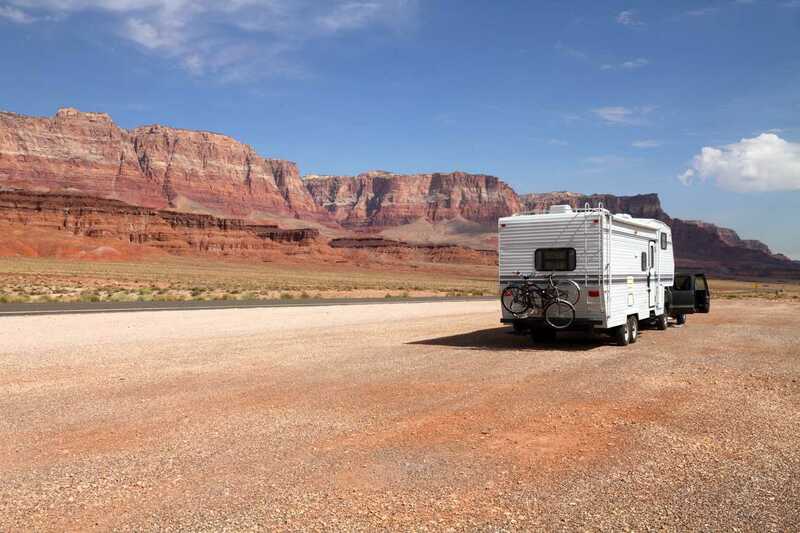 With over 300 RV sites, this is the perfect place for RV travelers of all kinds. At the resort there are several activities that they put on monthly like cookouts, crafts, games, and more. The place also offers a place to launch your boat off into the water, perfect for boating and fishing. The area surrounding Homosassa is filled with excitement. You can visit nearby State Wildlife Park, see the history museums, go on fishing tours, visit the antique shops, go on an airboat tour, and more. This area is also known for their manatees, so you can also check out the manatees on a tour while you stay. Located right on the beach, you have the best beach rustic experience here at Jetty Park Campground. This is perfect for water activities and fishing. There are also several pavilions to rent, perfect for family gatherings and cook outs. This location, however, requires that there are no pets allowed. In the area you can come fishing on the Jetty Park Fishing pier, go swimming at the beach, kayak, paddle board, and more. While you are here, you can check out the Kennedy Space Center, visit the lighthouse, explore the Cape Canaveral exploration tower, see the manatees in the Manatee Santuary Park, and more. There is also a U.S. Air Force Space and Missile Museum there, perfect for those interested in air force and space with the other space center. This RV Beach Resort is more exclusive than others, with a private access to the beach in a gated community, it offers the most privacy. Not only that but the sites do not accept tents, hybrids, or RV’s that are not in good conditions. 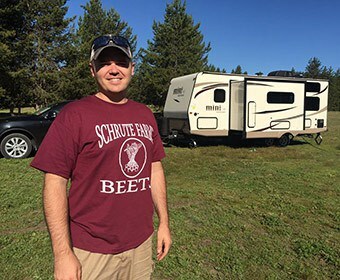 You must have a Motor Home, 5th Wheels more than 22 feet long and not older than 10 years. Also travel trailers are welcome. It is a little more upper class with its requirements, but worth it for the private, peaceful, beaching experience. 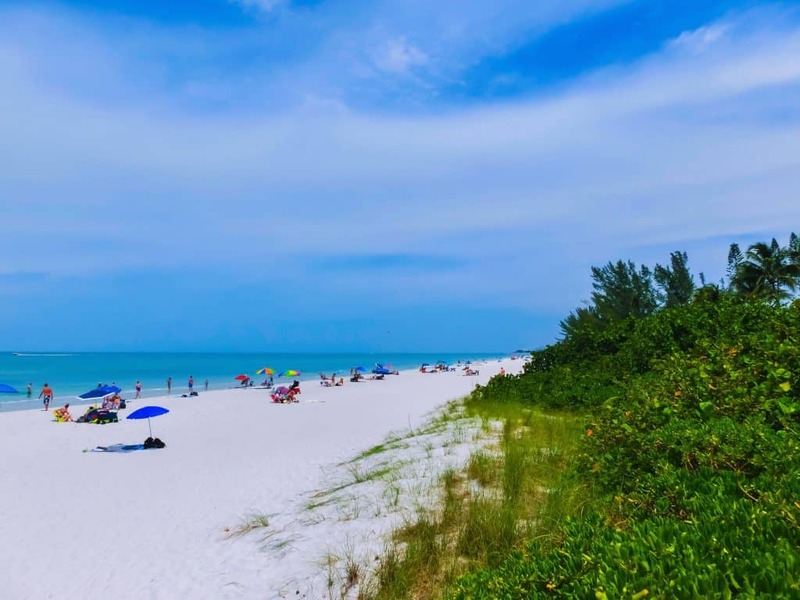 Other than soaking up the sun on the beach, there are several activities in the area which include: golfing, fishing, the silver Sands Outlet Mall for shopping, and more. Perfect for the people who love to fish and spend their days at the beach. Or shop too with the Sands Outlet Mall nearby. This is an RV camping experience that offers all you need, from having its own private golf course, to their outdoor courts, this Resort offers the ideal outdoor experience all within the Resort’s boundaries. While you are in the area, you can check out the Naples pier and beach. There is also the Naples Zoo at the Caribbean Gardens, and the Naples Botanical Garden perfect for exploring the wildlife in the area. For more information, check out their website at http://www.silverlakesrvresort.com/ to see the different pricing for lots and sites. 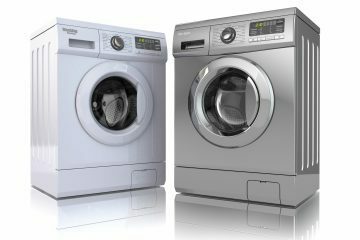 There are sites listed on it to tell you different prices for lots that are for sale or for rent. This is a great RV site for families, good amenities and just minutes away from the beach which make for the perfect vacation experience. Along with these amenities, the park also offers rentals for all of your outdoor experiences which include: bike rentals, rentals for kayaks, canoes, and mototrboats. If you are into golfing, you can check out the several different golfing opportunities like the Windswept Dunes for golfing. There is also the Topsail Hill Preserve State Park which has a nice beach where you can participate in water activties and go hiking. There are opportunities to go biking and hiking through trails at the Point Washington State Park as well. 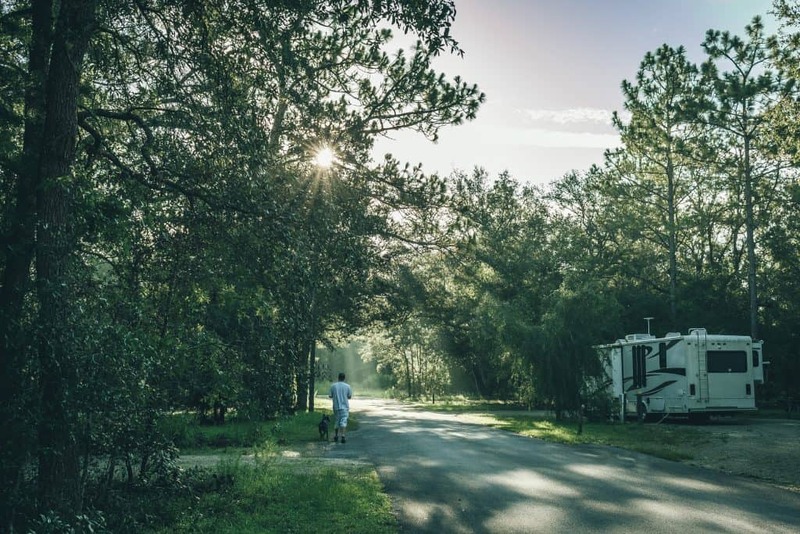 Another great option for RV camping is staying at Camp Florida RV Resort, it offers a pier for boating and fishing, along with the ideal location perfect for outdoor activities. It is also close to main cities for attractions. This is an ideal resort because it offers awesome outdoor activities. It has all you need for a good time outside. This is the perfect area for water activities, you can visit on of the many lakes here in the area, perfect for exporation and fishing. Golfing is also a popular activtiy here, it’s the perfect area and weather for it. Some activtiies unique to the area that you may want to visit is: Toby’s Clown School and Museum, the Sebring International Raceway, and the Town of Murals with several beautiful huge murals to view. Located in the ideal location, you get the full camping experience while still being right next to downtown St. Augustine and the Beach! St. Augustine is a great tourist town with lots of history that’s sure to keep you entertained. There are several camping sites with shade from the big oaks. In St. Augustine, you can visit the beach and visit the tourist attractions. I personally love St. Augustine for its history and down town sites. You can climb the lighthouse, visit museums, visit the Alligator Farm, and more. St. Augustine may be my favorite city in Florida because it offers you the best camping experience in the woods feel, while being right next to he beach and next to all the historic sites. This is the place for you if you want all of the best features!